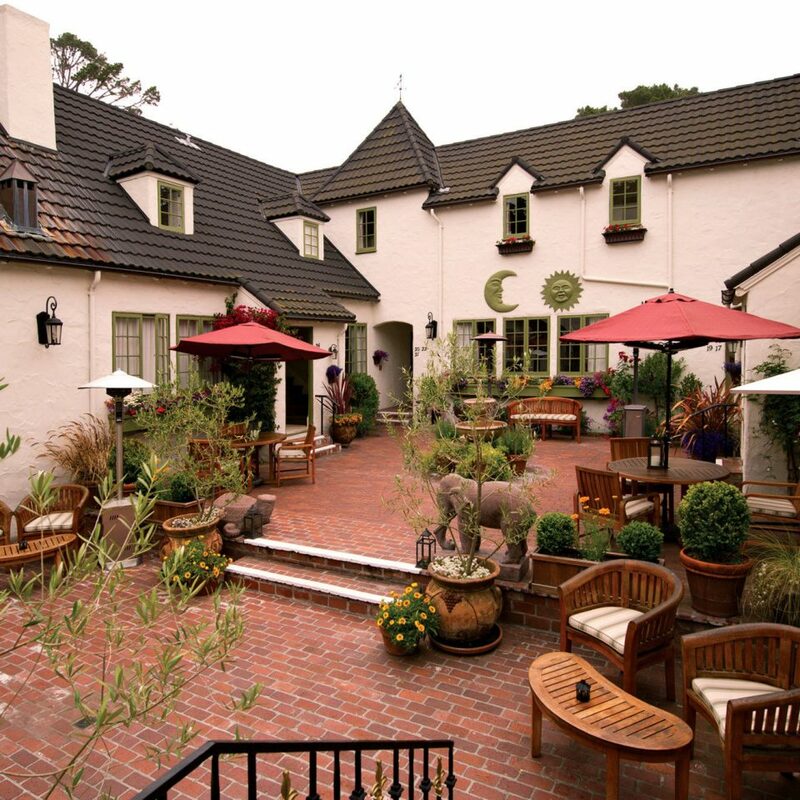 Carmel-by-the-Sea feels like one big leafy neighborhood filled with gorgeous European cottages. But L’Auberge stands out even among this company. 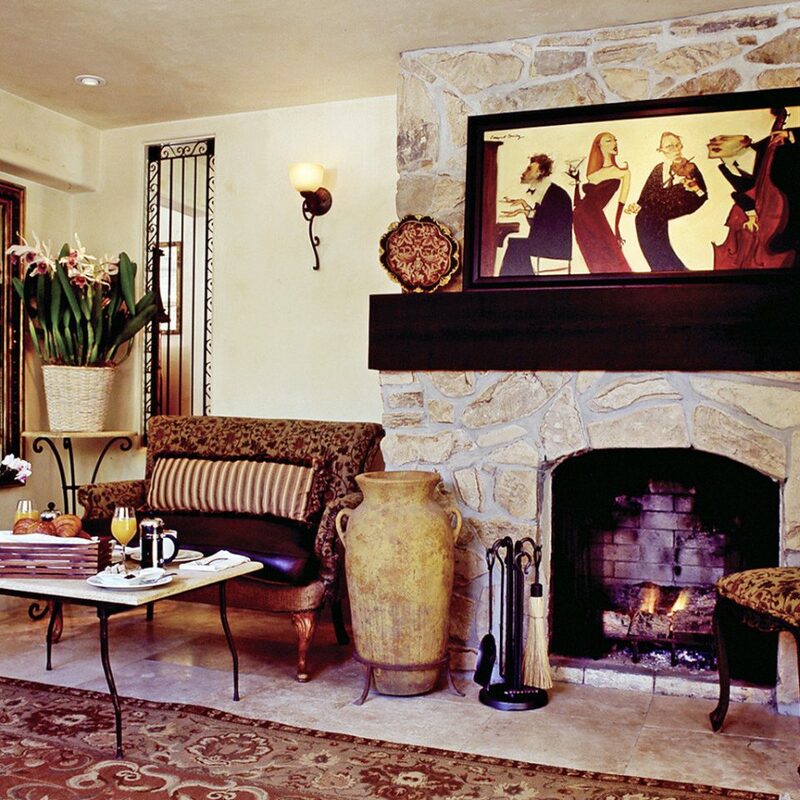 Formerly an apartment building for artists, the three-story stucco inn maintains that bohemian vibe by reflecting Carmel’s artist colony past. Think black-and-white Helmut Horn photographs, individually designed guest rooms, and vintage touches such as real door keys and French windows. 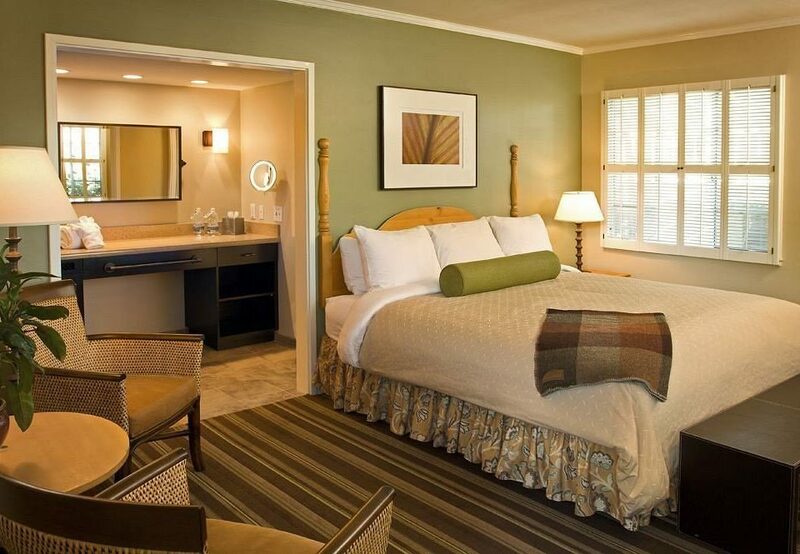 Each of the 20 guest rooms have mahogany beds with down comforters and jewel-tone linens and such tech perks as flat-screen TVs and iPod docks. 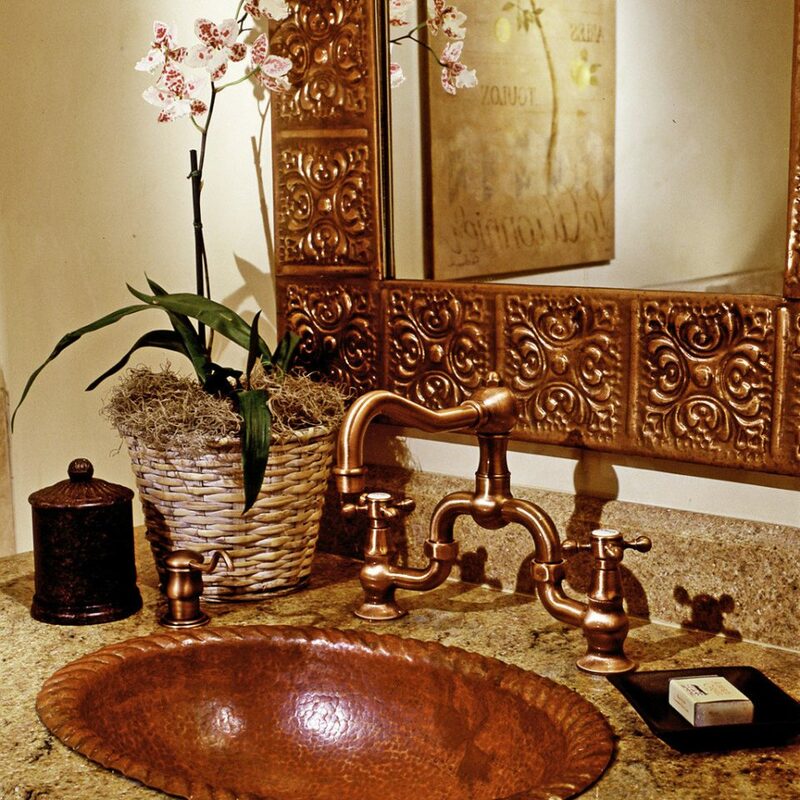 We love the indulgent bathrooms with their heated travertine floors, custom spa-style products and soaking tubs. Homey touches include nightly turn-down with fresh-baked cookies. 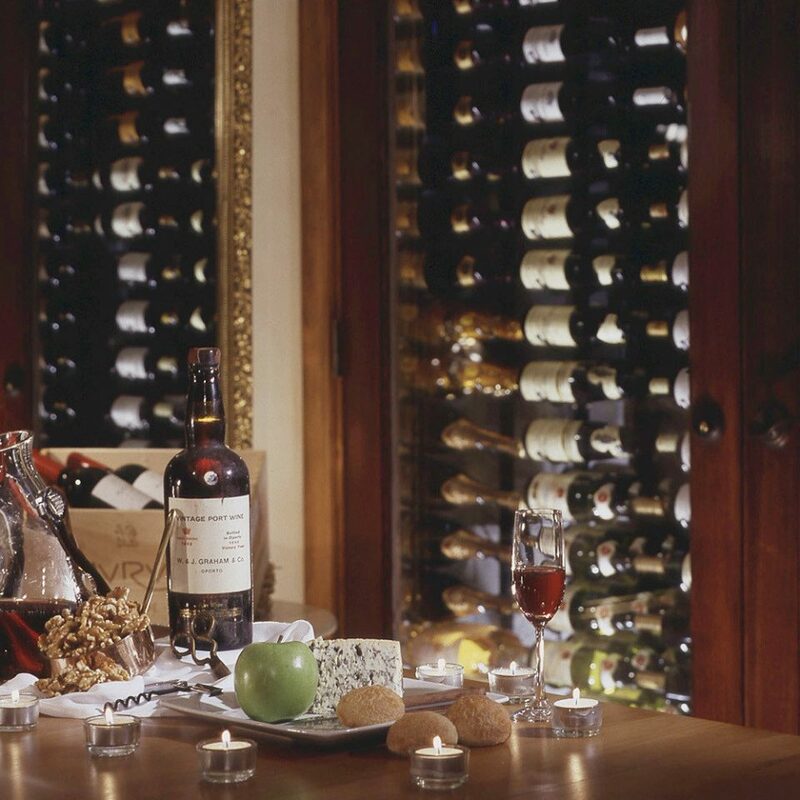 The cozy 12-table restaurant, Aubergine, and its 4,500-bottle cellar are the stars of the show. 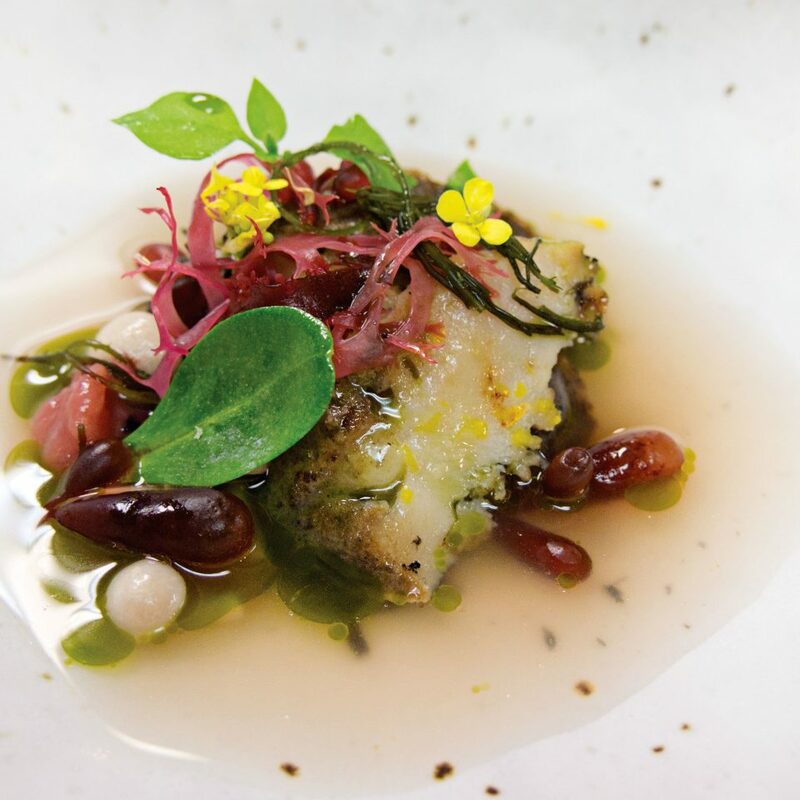 Award-winning executive chef Justin Cogley oversees the innovative seasonal tasting menu. In true Left Coast style, local farmers bring their goods straight into the kitchen every day. 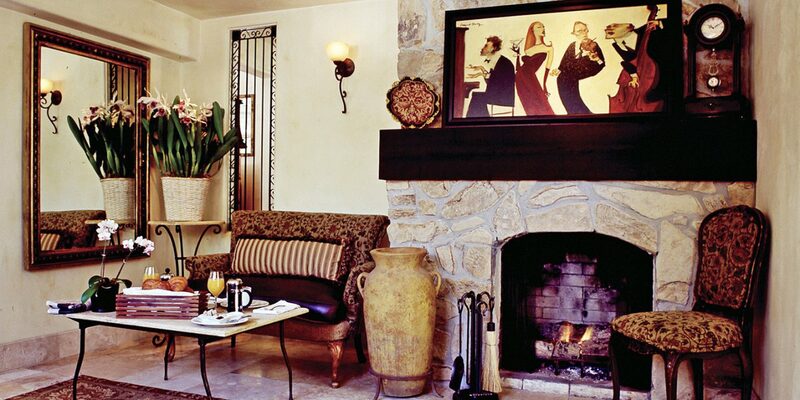 Breakfast can be served in your room, but it’s most pleasant in the enclosed brick courtyard, which is warmed by heat lamps on chilly mornings. 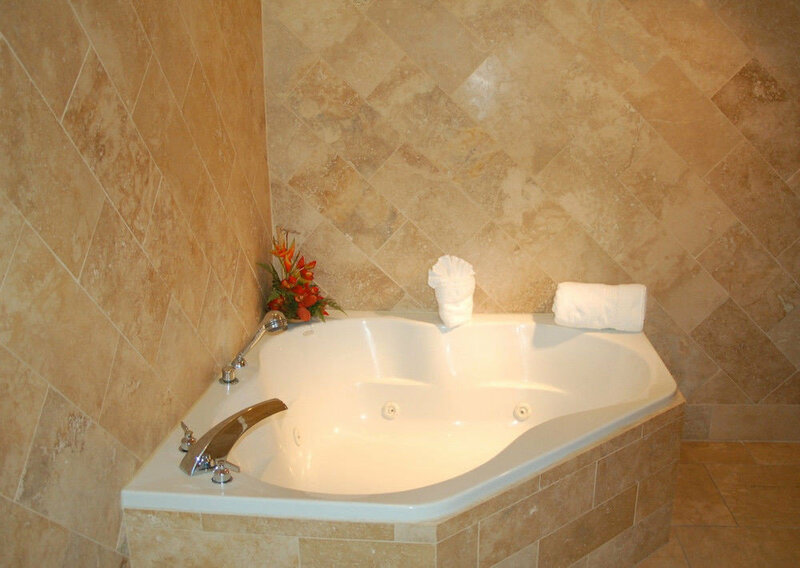 The hotel also offers in-room spa treatments. 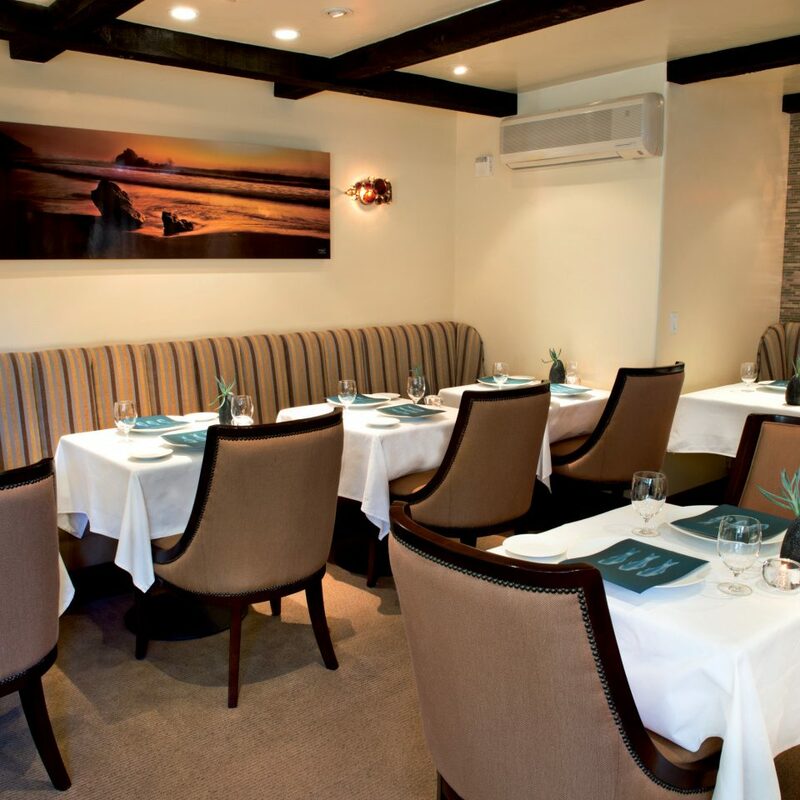 Visit Aubergine’s sister restaurant, Cantinetta Luca, known for its homemade pasta and equally stellar wine list. 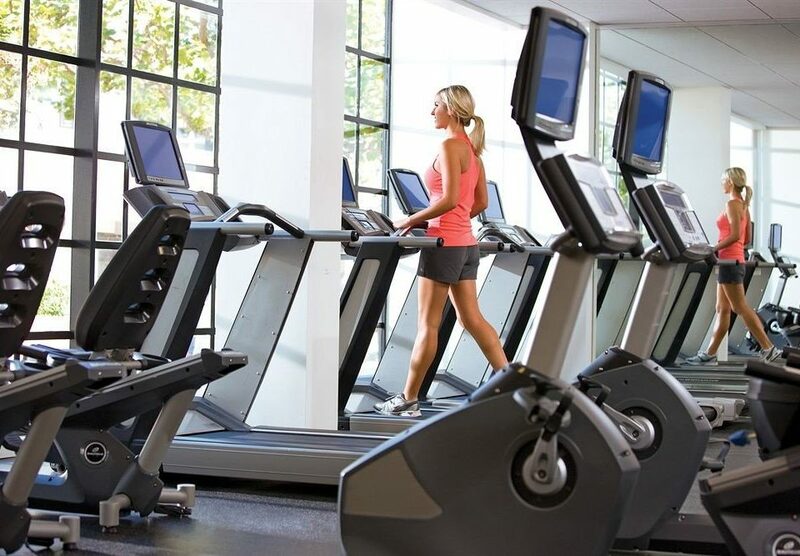 It’s within walking distance of the hotel, on Dolores Street between Ocean and 7th. 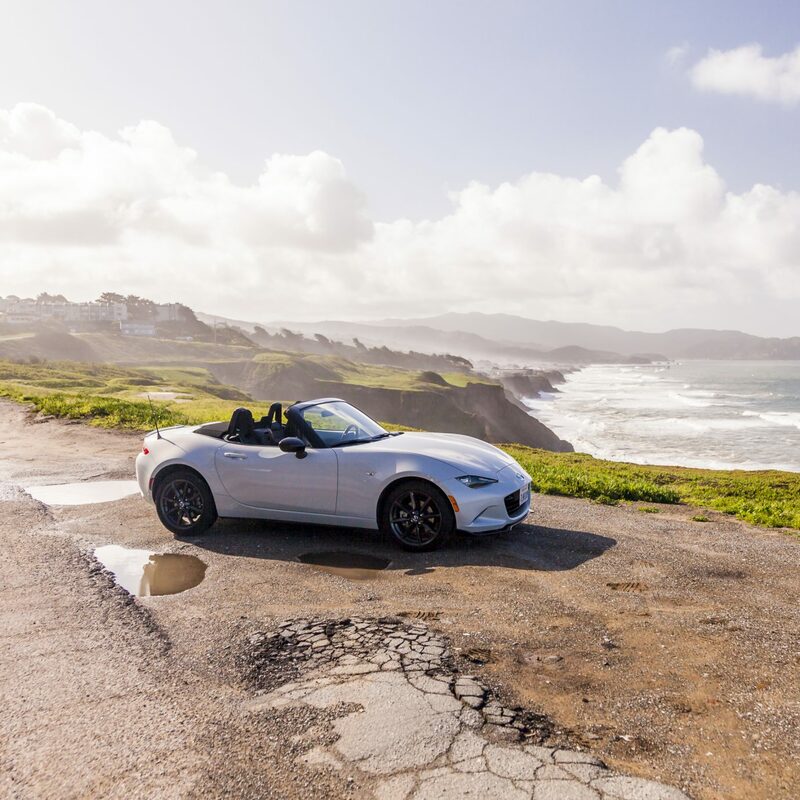 From Carmel, the natural progression is to take the famous Highway 1 down the coast through Big Sur. Or consider taking the scenic 17-Mile Drive on your way to the inn. Carmel Beach City Park is justifiably famous for its scenery, but it can get packed to the gills on a warm day. For smaller crowds try Carmel River State Beach farther south around the promontory, with its rolling dunes and vibrant bird life. 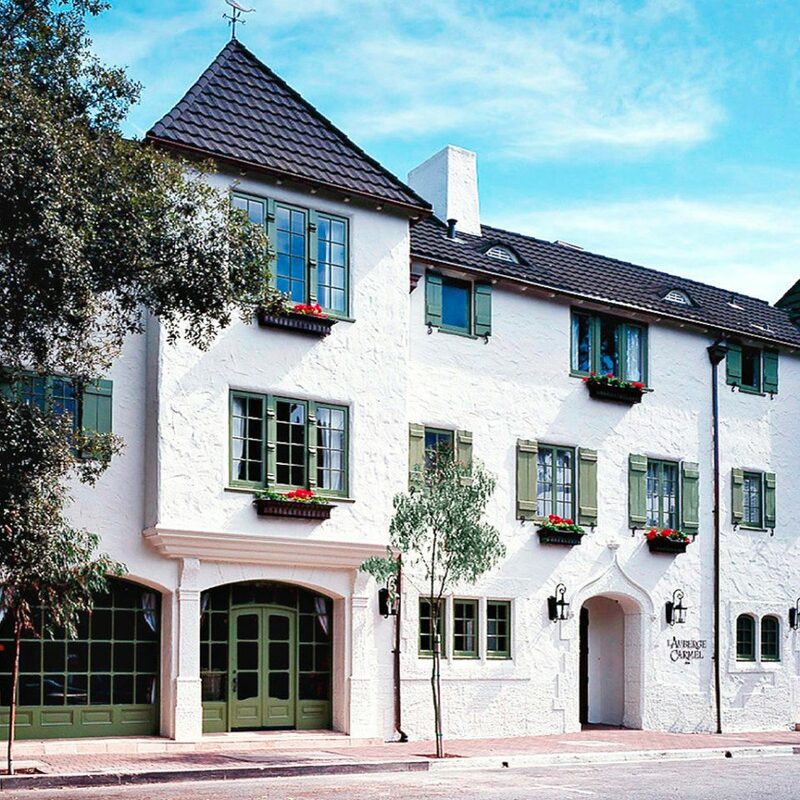 Carmel is made for leisurely strolls and shopping, so be sure to take a two-hour guided walk along the hidden pathways past the fairytale homes of the famous with Carmel Walks Tours. Staff were very friendly and welcoming and very happy to make arrangements and recommend restaurants for you. Our room was comfortable and an especially comfortable bed. Nice fresh flowers in the room. Free wi-fi easily accessible. Great location, within walking distance of the town and all the restaurants, galleries and shops and an easy walk to the beach. Nice courtyard with seats for a drink/cocktail and I believe they BBQ there in the warmer weather so would be a lovely spot. I did find it a little noisy even though we were in one of the quieter rooms and found the breakfast very limited. They did charge you extra for bacon and some other what they called 'a la carte' items, which included granola and yoghurt, which to be honest I would have thought at the price of the hotel this would be included, but thats my only real criticism. 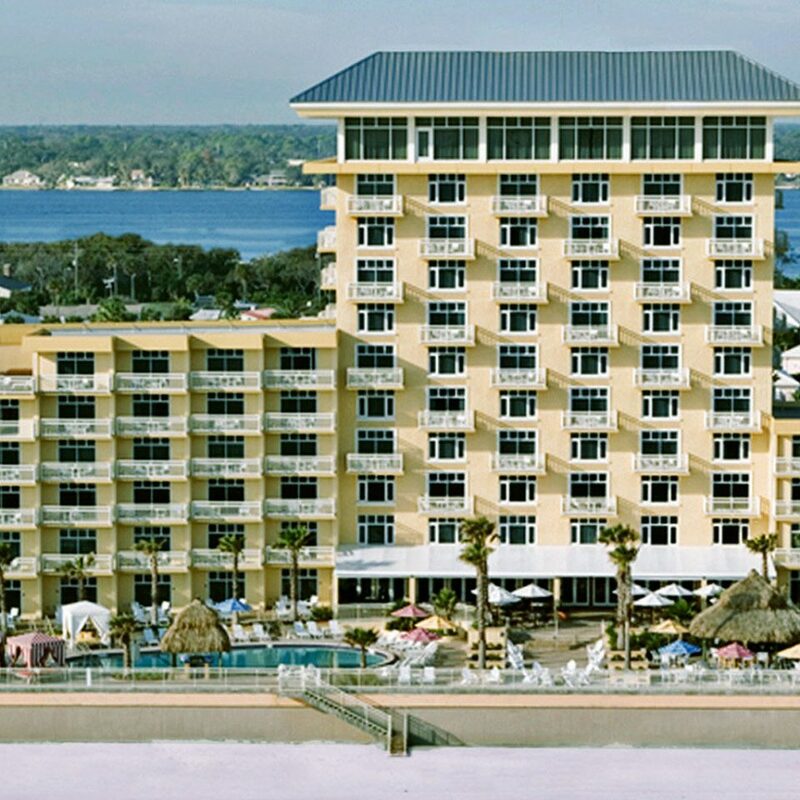 We enjoyed everything about our stay at L'Auberge! From the European style exterior, the beautiful courtyard to relax or enjoy a cocktail or conversation, the well-appointed and beautifully decorated guest room, delicious breakfast each morning, friendly and knowledgeable staff, fresh flowers in the room... every detail and expectation was met. 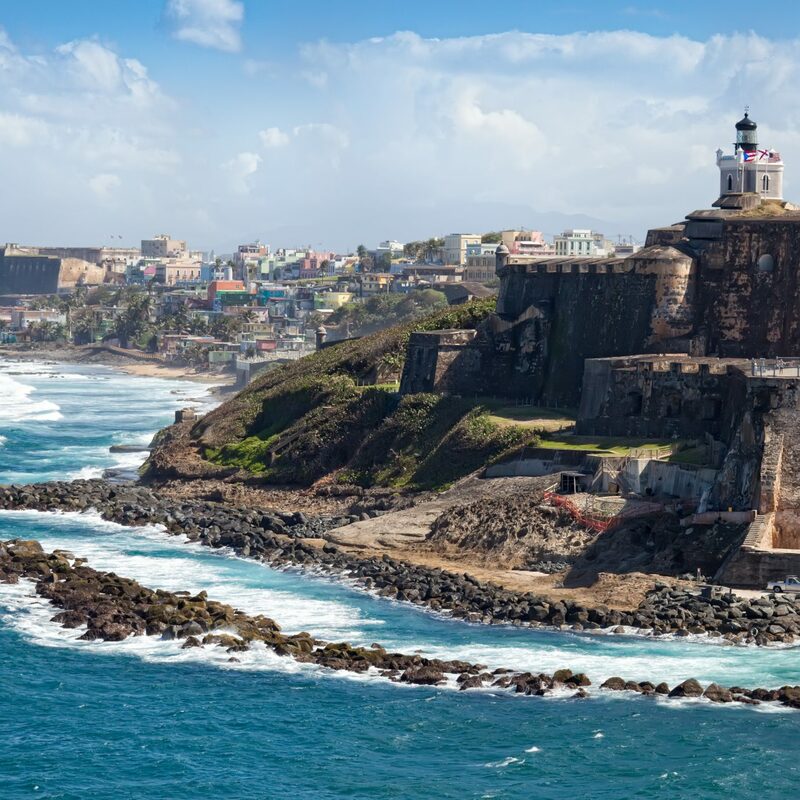 It is also conveniently located for a short stroll to the many shops, galleries and restaurants. 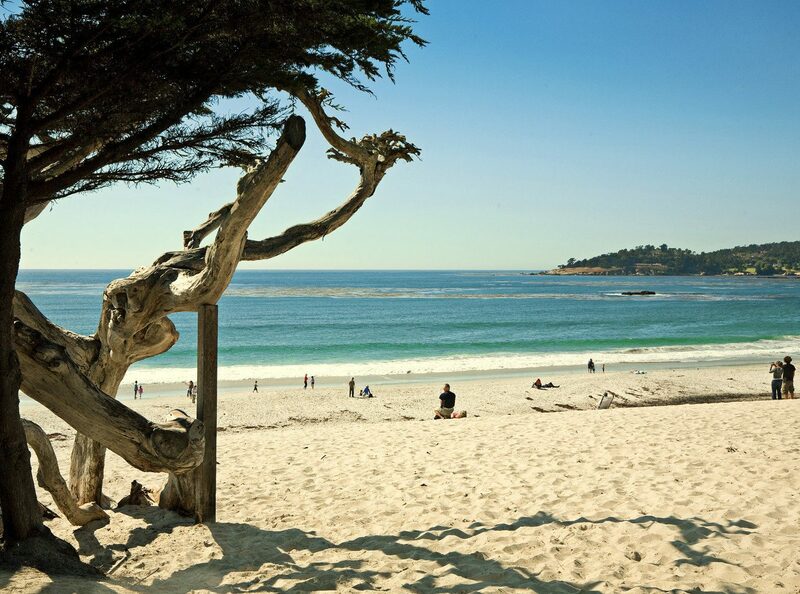 Look no further for your stay in Carmel-by-the-Sea.... you will not be disappointed! Truly lovely in every way! We stayed for two nights and unfortunately we didn't know the restaurant was closed on Mondays so we missed dining at Aubergine. We hope to return and will definitely try that the next time.... it looks delightful! 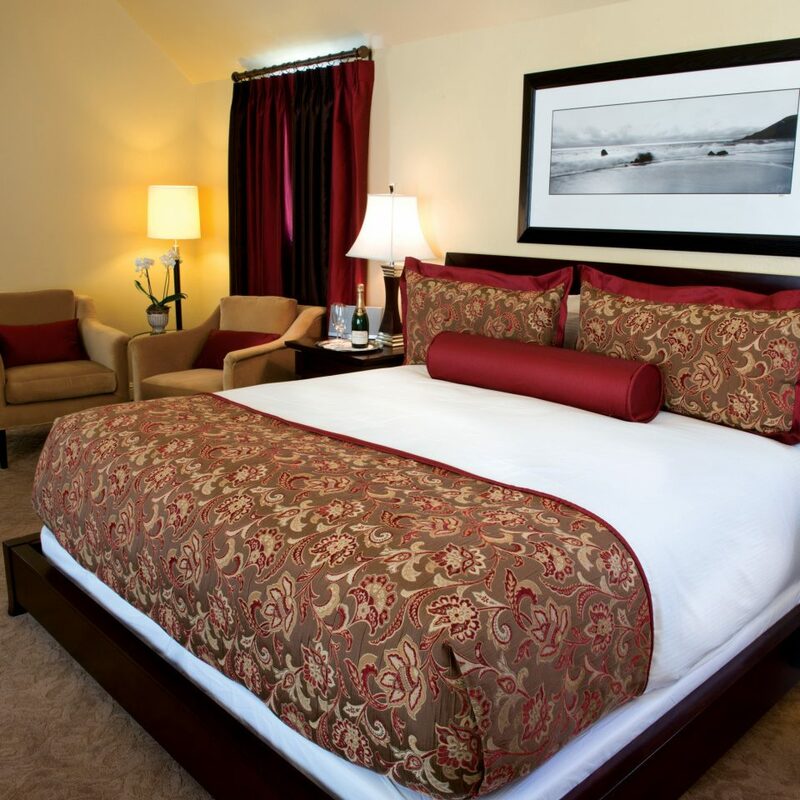 Every amenity in the room ( heated floors) comfy bed, a little fridge, and anything you want at any time. Loved every inch of my room and the entire property! The exclusive bar is a great and calm place to grab a drink! Breakfast is also very good and fresh. 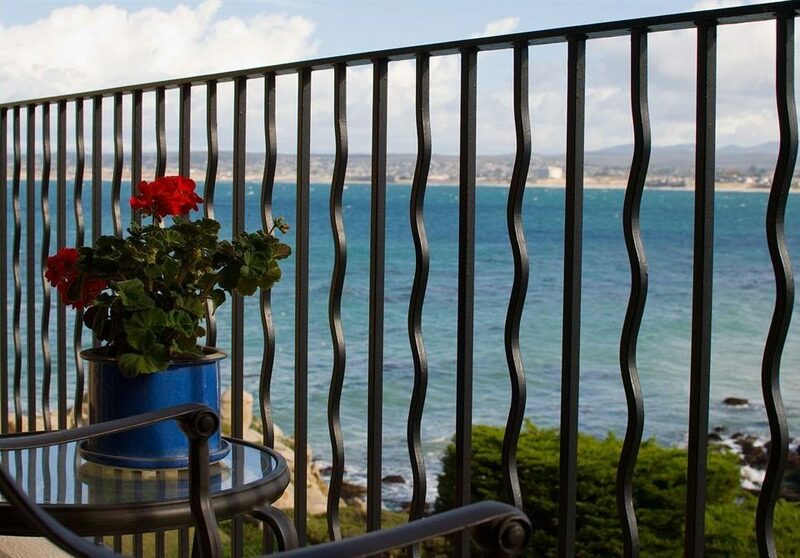 The whole property is very unique with great views of the city and the ocean! Thank you for all the staff as well! Everyone was great! We stayed in the king peek room for 5 nights. We experienced excellent service from everyone especially concierge Jennifer.. Jennifer made dinner reservations for us each night at charming, unique restaurants. My husband enjoyed an amazing deep tissue massage, also arranged by Jennifer. L’Auberge offers car service which we needed as we had non stop rain during our stay. I highly recommend L’Auberge.